The flip: Firefox to Chrome, and maybe TheBat! to Thunderbird? I find it interesting that over the last year or two I’ve done 180° turnarounds in opinion on various things that I once thought were complete wastes of time, only to turn right back round again later on as the biggest pain points to their use disappeared. Originally I hated Firefox due to the fact that there were a few things that completely wrong with it – long loading times, unable to “open” a file directly from a webpage like Internet Explorer does, and the horrible Find bar. As addons appeared that fixed these things I warmed to it. Witness my post on the topic from 2009. Well, lately I’ve been mildly annoyed with it because quite frankly the load time is starting to piss me right off again – I have a quad core machine and ten seconds for ANY single program to load is completely unacceptable – plus the page rendering is just laggy and I have no idea why. By comparison, Google Chrome is super-fast to load (it always has been) and loading large pages and scrolling up and down, it’s just nippier than Firefox. Very noticeable. So recently, I have copied across many of my common bookmarks to Chrome and started installing some good extensions into it – now using it at home and work and quite pleased. Some things are a bit annoying but I consider the fact that it loads in the blink of an eye to offset those things. This switch may be temporary – we’ll see how long I can last without FF. So next up, email. At work I use Pop Peeper, a freeware, lightweight mail client, to check my personal mail. It’s done the job for about 3 years but once again there are small annoyances that are causing me to think about getting rid of it. Primarily, I may get an email with HTML in it and then wish to forward that to someone, eg my wife. PP doesn’t forward anything other than plaintext. You can’t EDIT in it other than in plaintext too. You can attach files, but that’s not the point. I want inline rich text etc. Blah blah. 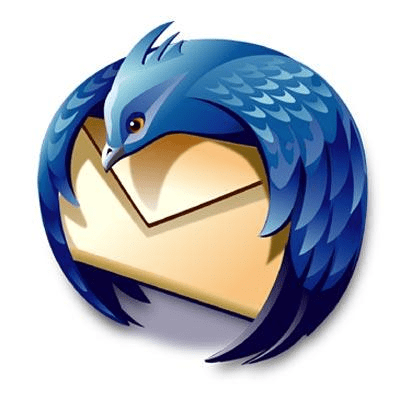 So, yesterday at work I installed Mozilla Thunderbird, from the makers of Firefox. It’s a full email client. I looked at it a couple of years ago and hated it. I’ve used Ritlab’s TheBat! for email for something like twelve years now and have been quite happy with it. There’s really nothing wrong with the latter, but I can’t install it at work as I only have a single license. So, freeware it was. Thunderbird, too, appears to be something that Mozilla have finally gotten right. It looks good, has LOTS of options, and best of all has a feature called the Unified view which allows you to view a single global “virtual” inbox that contains emails amalgamated from all your configured accounts. This allows you to reply to emails from multiple sources without needing to flip to different accounts to do so. Just eases the administrative process. I’m liking it a lot so far. Need to revisit stuff a little more often, methinks! Just wish I had more time. Once again, freeware for the win.